With the advent of ultra-high-resolution sensors and raw video cameras at the consumer level, storing our files is becoming a significant problem. Simply put, hard drive capacity doesn’t grow as fast as our media libraries. Cloud storage is also limited by the speed of our internet connections. Uploading TB of images takes times, especially without a fiberoptic connection. Unfortunately, hard drive capacity has been quite stagnant for the past few years, but things are about to change. Before you get too excited, HAMR and MAMR technologies won’t dramatically increase the current capacities. These technologies are just an evolution, not a radical breakthrough. According to the manufacturers, the first disks should hit the market sometime this year with 16-to-20 TB models, which is not a massive improvement considering that the largest consumer level drives available today can store up to 14 TB. By 2023, Seagate expects to deliver 40 TB+ hard drives. At the moment, the largest consumer level HDD can store up to 14 TB and costs $550. At the moment, the three leading manufacturers use the same technology that was introduced 10 years ago: PMR (Perpendicular Magnetic Recording). And PMR itself was an evolution of the previous LMR (Longitudinal Magnetic Recording) storage process. Another development of PMR exists, the SMR. However, the underlying method by which the bits are recorded is the same. Thus, even with the combined benefits of PMR and SMR, we’re approaching the limits with this technology as well. Today’s PMR will eventually run out of steam due to the laws of physics. 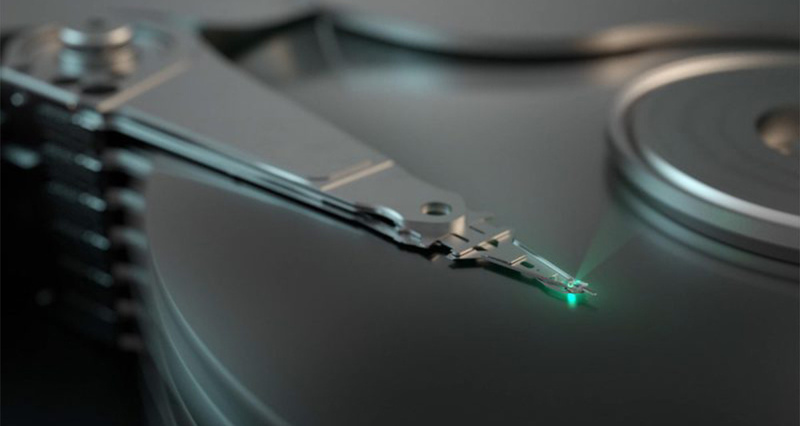 Seagate, like Toshiba and Western Digital, is now going to introduce another variation to escape the inability of the current PMR technology to increase the areal density of the disk. Indeed, writing more data on less surface creates a lot of instability, and instability is not something desirable in the business of data storage. The remedy is to use a more stable recording medium, one known as a high coercivity or hardness, to simplify it. But that coercivity has to be overcome to write on the hard drive platter. Said otherwise, past a certain level of miniaturization, you need a “harder” material to keep your data stable, but the toughness of this material prevents the writing operation. MAMR: Microwave-Assisted Magnetic Recording uses 20-40 GHz frequencies to bombard the disk platter with a circular microwave field, lowering its coercivity and enabling the bit value to be written. HAMR: Heat-Assisted Magnetic Recording uses a tiny 200 mW laser beam to heat up the disk platter to 750 °F (400 °C) and permit the writing operation. 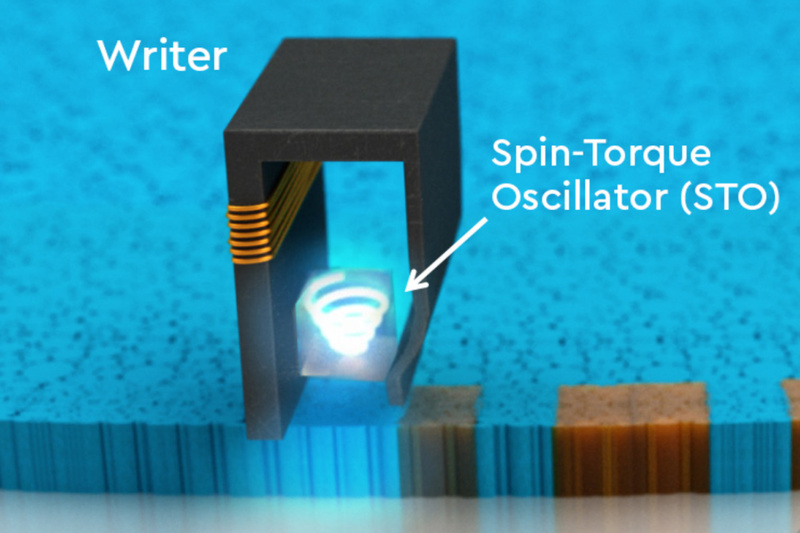 Western Digital's MAMR technology uses a Spin-Torque Oscillator to generate circular microwaves (20-40 GHz) in order to write on the medium. 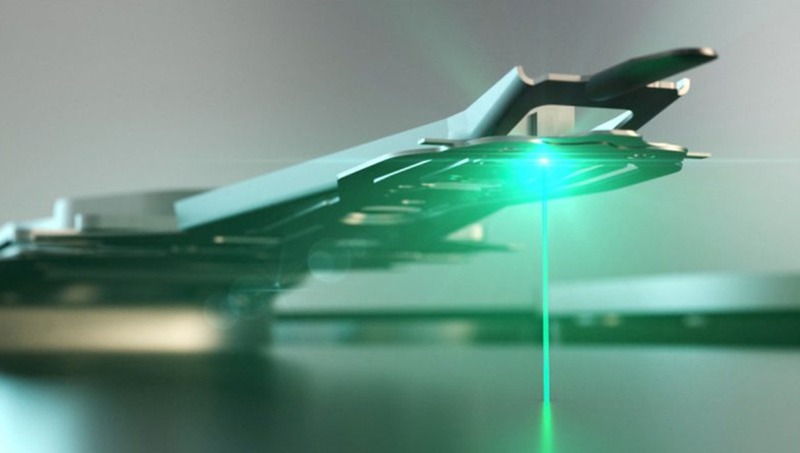 The Seagate's HAMR technology uses a tiny 200 mW laser to write information on the hard drive platter. Western Digital and Toshiba are pursuing the MAMR (microwave energy assist) technology, while Seagate bets on the HAMR (heat energy assist). But both technologies share a common goal: increase the areal density to produce larger capacity hard drives. 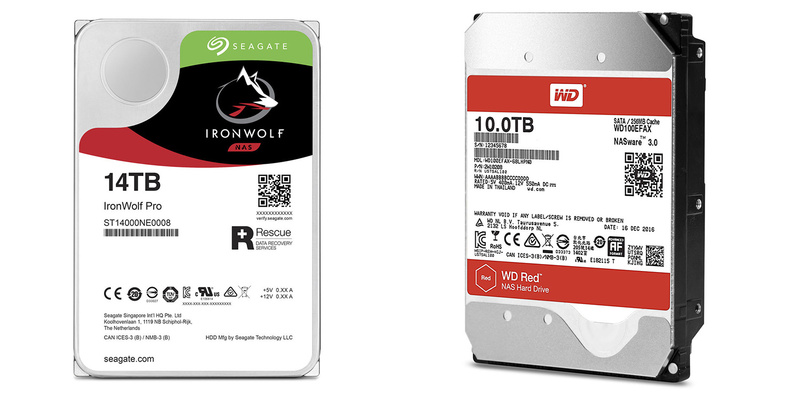 Western Digital and Seagate plan to begin volume shipments of their respective technologies sometime this year. Western Digital revealed recently that it has begun to sample pre-mass production models (16 TB) and 18 TB units may follow before the end of 2019. On paper, Seagate announced 40 TB+ drives by 2023, while WD plans to pass the 40 TB threshold in 2025. 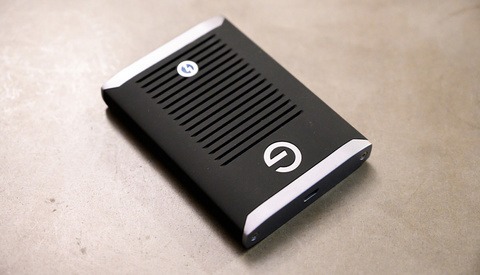 The first Seagate drives available this year should reach 20 TB of storage if everything goes according to plan. But the initial models will be dedicated to professional use and will address data center needs first. 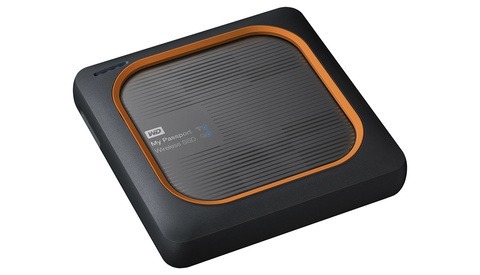 It is not clear at this time when these new hard drives will hit the consumer market. Regarding capacity, WD claims MAMR drives will top out at 4 Tb/in^2, whereas Seagate's HAMR is widely projected to top out at 10 Tb/in^2. Beyond that, Seagate expects to pair HAMR with Bit-Patterned Media, thus creating HDMR (Heated Dot Magnetic Recording) to scale up to 100 Tb/in^2. WD could also try something similar with its MAMR technology. What about performance? Manufacturers indicate that speed will be directly correlated to capacity as higher density platters allow one to increase the transfer speed. Knowing that the latest 12 TB PMR hard drives can reach up to 240 MB/s, a 40 TB drive should be able to transfer data at 350 or 450 MB/s, but this figure is just a rough estimate based on extrapolation. As for latency, it will mainly depend on the rotation speed (5,400 rpm, 7,200 rpm or other). 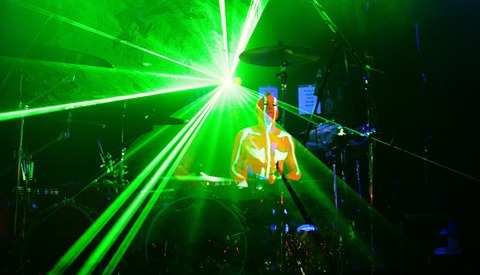 We’ll have to wait for the first reviews to have a precise idea of the performance. Finally, the cost factor is unknown, and manufacturers are not very talkative at this point. According to Seagate: “although new HAMR components add some cost on a per-head basis, HAMR drives as a whole can deliver a reduced cost-per-TB compared to PMR drives because of the sheer increase in total capacity per disk.” Initially, the MAMR and HAMR technology shouldn’t come cheap, but the price should decrease as data centers start ordering millions of units. However, I wouldn’t bet on affordable MAMR, and HAMR drives this year. As usual, each side claims to offer a superior solution while downplaying the technology of its competitors. WD contends that Seagate’s HAMR increases production costs because of the new material required for the platters. It also expresses doubts about the reliability of lasers, which is one of the critical reasons WD chose MAMR instead of HAMR. But Seagate countered that increased storage density yields a lower cost per TB and dismissed reliability concerns by saying that it has already built and tested more than 40,000 HAMR drives with millions of heads. And contrary to WD's claims, Seagate says HAMR drives are plug and play with existing systems. HAMR and MAMR are just an evolutionary step of the current technology. Without being a radical breakthrough, they allow one to unlock the current limitation of the PMR recording architecture and open the door to 40 TB+ drives by 2023-2025 according to the vendor’s roadmaps. Most likely, the new hard drives will be paired with other technologies, such as helium, SMR, and TDMR to increase density as the technology matures. But the first models to hit the market this year will be 16 TB to 20 TB drives dedicated for data centers, and the prices shouldn’t be consumer friendly. Performance, compatibility, and reliability will have to be established once reviewers can get their hands on the first units. Staggering isn't it. Guessing most people here remember the Huuuuuge CF cards we had with the first digital cameras and the multitude of computer high capacity storage disk systems that we've grown up with. Data just keeps getting bigger, and bigger. I even remember the brief period where "Microdrive" hard disk-based CF cards were a viable alternative to flash-based CF cards. I believe they reached to 4GB(?) in capacity, which was impressive at the time. My father had one for his Canon 20D. Let's hope they're real MAMR JAMRs. My first computer, a Mac Performa 575, 5 mega bytes of ram and a 250 meg hard drive. Then I was thinking, how will I ever fill that thing up. 250 Megs? Man, what did you do with all that space? My first computer (an Amiga, God bless it) and a 880 stonking kbytes on a single floppy disk. But the operating system also needed a disk so without a 2nd drive the system was almost unuseable. Then I got myself a bigarse 10MB drive. Nobody kicked sand in my face. Step away slowly and we won't have any trouble, punk. Sheer luxury. At least you could lift your drive. I worked with DEC RK07 drives the size of a fridge, that could hold one 28 MB disk. 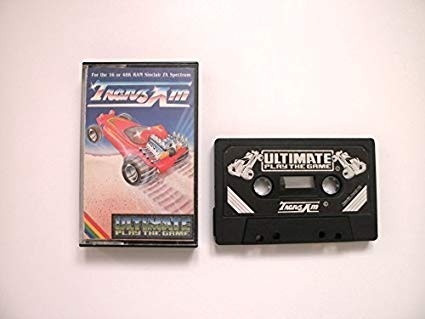 Anybody knows what was the capacity of these? And at the end of the day people are watching stuff on their sub-1 megapixel devices. What a waste of storage we have today. I don't know... more and more stored data on the same physical size. For me it means, bigger chance to have a failure and lose more important data at once, if something happens with only 1 drive. I'd never use a 10 tb hdd... 20tb?? :-) Okay, in raid maybe. Raid tech should develop towards safety more either! Yes. That's true for any size of storage device. I pair my large capacity drives with a cloud backup. I used to have double the disk drives to back up my data twice, however a highly unlikely dual failure at one point caused me to rethink that strategy. Interesting, I was just thinking about it the other day “when are they gonna get super storage devices”. These aren’t super but nice and of course the stupid new high intro price grrr.